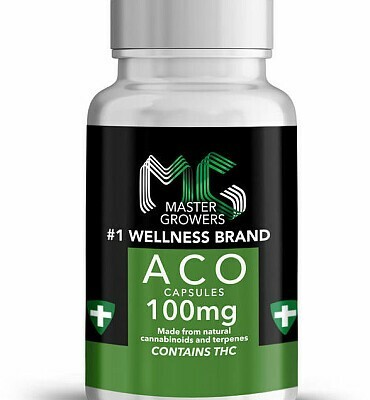 Our ACO capsules (Alcohol Clear Oil 15ct per bottle) contain whole plant cannabis oil. The Master Growers Ethanol extraction process preserves the natural cannabinoids, terpenes and alkaloids of the cannabis plant. We combine our ACO with organic cacao butter to enhance absorption and increase utilization. ALL ORGANIC INGREDIENTS INCLUDE: 25mg or 100mg ACO, Cacao Butter, Gelatin Capsule. Master Growers 25 mg THC CAPSULES - 15 ct.